Cheap flights from London to Zanzibar from £296 return! Cheap flights from Brussels to Cape Verde from €139 return! Cheap flights from London to Zanzibar from £325! Find the lowest priced deals to Zanzibar from United Kingdom and book your next cheap flight from London to tropical Zanzibar based on Turkish Airlines promotion (Star Alliance)! Zanzibar officially belongs to Tanzania and is evocation of the exotic holidays. This archipelago is nestled in the Indian Ocean famous for its splendid bone-white sand beaches. If you are a bit flexible this if perfect exotic destination for your holidays next winter season 2018/2019. Take advantage of discounted available to selected destinations during this latest promotion and book cheap flights from London to Zanzibar! Turkish Airlines promo sale offers the cheapest flights from London to Zanzibar in November 2018 26th of February to 6th of June 2019. Max stay 1 month. You can book cheapest flights London Zanzibar till 19th of September 2018. Below you can refer to our booking as well as few travel samples. Zanzibar is a semi-autonomous archipelago off the coast of Tanzania consisting of Zanzibar Island (locally, Unguja). Pemba Island and many smaller islands. Zanzibar island itself is approximately 90km long and 40km wide. In 1896, Zanzibar was the location of the world’s shortest war, surrendering to Britain after 38 minutes of naval bombardment. If you have booked these cheap flighs from London to Zanzibar you can read more about this exotic island at Wikitravel. Travel dates. 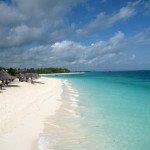 : Compare the cheapest flights London-Zanzibar at website of the carrier. Althought Zanzibar is symbol of luxurous holidays you may get pretty cheap accomodation in there as well as to eat cheap in local restaurants. For instance in Kendwa, located in north of the Unguja island. Close to Nungwi (one of the main tourist resort villages) you may get the accomodation from $20 for double room. (you have to negotiate a lot though). If you would still prefer to book your hotel room in advance you can use Booking.com. Consider following promo codes offered by Hotels.com, Hotelopia or Agoda. Simple but tasty local food is possible to order for less than $2. To get to Kendwa you can use local Daladala number 116 (small minivan) from Stone Town. Let the driver to drop you on the crossroad on the way to Nungwi. It takes approx 1-2 hours depend on traffic and would cost you just 2000TZS (approx $1,25) one way..
Booking sample of cheap flights from London to Zanzibar from £296 below. You would be departing from the United Kingdom to this tropical African island on 10th of March. Return flight from Africa back to the UK would be on 25th of March 2019. Take advantage of this latest promotion from United Kingdom to exotic isle in Tanzania and book the cheapest flights from London to Zanzibar!